Like many children, Grace Sin grew up wanting to be an actress or a lawyer. It was not until a trip to Korea during her freshman year in high school that Grace decided that she wanted to be a journalist. On that trip she spent much time watching talk-shows and news programs and realized that through journalism she could do something meaningful and informative, she could help others understand the world and what was developing around them. Since she developed her passion for journalism Grace has become involved in a large number of journalistic based organizations both in and outside of school. As a senior at Staten Island Technical High School she is a member of the Young Producers Club and is familiar with the technology responsible for producing television broadcasts. Through her experience at the Young Producers Club she interned at the Staten Island Cable Television Station. As well as doing much work on the production side of TV journalism Grace is an active member of her school’s newspaper and after her sophomore year of high school became involved with the Baruch’s College Summer Journalism Program, publishing the Here&Now newspaper. Grace is currently a teen correspondent for the Staten Island Advance. Grace gets some of her biggest thrills from knowing that her articles influence the lives of her readers. She hopes to attend the University of Pennsylvania, majoring in journalism and aspires to one day be a part of a newsroom, piecing together the stories that people want and need to hear. Townsend Harris High School senior Benjamin Snyder has considered journalism as one of his foremost passions since he began writing for his high school newspaper during his sophomore year. Benjamin, who has been recently chosen as his school newspaper’s co-Editor-in-Chief is fiercely dedicated to the development of his passion and has taken part in a vast series of journalism-related activities. Last summer Benjamin attended an international leadership camp called Rising Sun. Over a course of the two months that he was there he became the Senior Editor of the camps weekly newsletter, The Rising Sun, a position that had never been given during the camp’s 75-year long history. 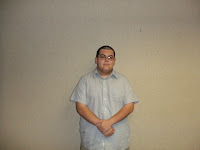 During his junior year of high school Benjamin was made an editor on his school newspaper’s editorial board, later becoming an Editor-in-Training and began work on his high school’s yearbook. 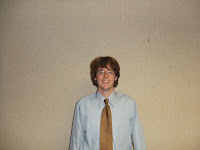 Through his school Benjamin has attended a series of journalism based conferences sponsored by Baruch College. This year Benjamin plans to take a Media Studies course as a part of the Bridge Year program, a program between Townsend Harris and Queens College designed to help prepare high school students for college. Benjamin feels that his experiences in journalism have taught him not only how to run a publication, but to take initiative and to explore the various cultures and ideas that shape the world. He feels fulfilled when others read his work and start discussions based on his pieces. Benjamin is currently looking at colleges with strong journalism programs and hopes to be part of that school’s student newspaper. He dreams of one day becoming a professional journalist. Ariel Brodsky is completely dedicated to her greatest passion, journalism. The Townsend Harris senior, recently named the co editor-in-chief of her high school newspaper, The Classic, joined the newspaper in the beginning of her sophomore year so that she could broaden her writing skills. Soon after she came to realize how different journalism is from other forms of writing and quickly began to feel the sense of pride associated with seeing her name in print. Ariel excelled during her sophomore year as a member of the newspaper and the editor-in-chief and advisor chose her as The Classic’s editor-in-training. Now, not only did she write articles but edited her peers’ work and began to learn the layout process. In June of 2007 she found out that one of articles she had written for The Classic was a Bronze award winner in a contest sponsored by the Empire State School Press Association. In July of that year Ariel took part in Brown University’s “Putting Ideas into Words” week-long course and later that fall she was named to a position on The Classic’s Editorial Board. Ariel loves being a part of the excitement that comes with reporting. 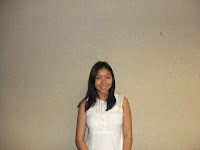 This July she participated in a three-week-long internship with the Queens Ledger. 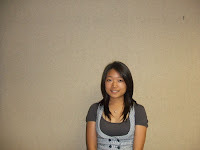 Ariel hopes to attend Yale University and eventually be the editor-in-chief of Yale’s student newspaper. Most high school students try to avoid watching the news, Melissa Chan embraces the news. At the end of a busy day Melissa returns home, clamoring to watch the news and often is disappointed when she is to late to watch her usual news programs, even if her lateness is attributed to her staying late at school to put together the school newspaper. Melissa is currently the Managing Editor of the Stuyvesant High School’s newspaper, The Spectator, an incredible feat considering she had only been on the board of her paper for about 4 months before receiving this position. As the Managing Editor Melissa has to edit between 28-32 articles per issue, two issues a week and oversees a staff of 290 students. By taking on the role of the newspaper’s managing editor she was forced to give up some of her other extracurricular activities, including varsity swimming, , but she is determined to be a journalist and feels that the sacrifice was well worth it. Melissa believes that journalism has shaped her life. She feels that through journalism she has become more persistent, outgoing and assertive. She sees herself as a leader as she rallies her team to complete their work in a timely manner, creating an efficient work environment and helping solve conflicts in the newsroom. 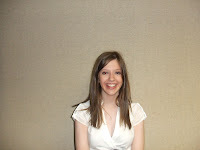 Melissa hopes that by continuing in journalism she will be able to learn more about herself and develop greater skills. 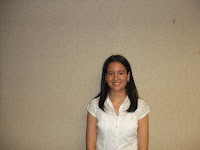 Melissa intends to study journalism in college and pursue a career in it afterwards. Since 2001, when she entered and won her first writing competition, Paulina Karpis has pursued her love of writing and her dream of becoming a broadcast journalist. Paulina started writing for her school newspaper as a freshman and during her sophomore year was appointed the News Editor of her high school paper. 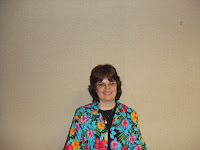 As editor she runs meetings, holds workshops and teaches lessons in addition to editing and writing for the paper. Paulina has won at least one writing competition a year since 2001 and as a part of one of her wins was able to write a column for a magazine based in Australia. A piece that she wrote based on life after 9/11 was published in “Chicken Soup for the Teenage Soul: the Real Deal Challenges”. After her piece was published she was interviewed by NY1 and ARD, a public radio network based in Germany. As a result of her publications she has met with Congressman Vito Fossella, Spike Lee and Reg E. Gaines. She has received letters from Mayor Bloomberg, Senator Clinton, and Governor Paterson. In 2008 she was awarded The 2008 Alexander Hamilton Citizenship Achievement Award, honoring Paulina for her “outstanding achievement and community service. Paulina whole-heartedly believes in the power of the press. She believes that democracy thrives in America because the media serves as a successful check on the government. She wants to uncover the injustices that take place in American society and expose them. Paulina plans to follow journalism where ever it might take her. Heath is currently a junior at University of North Carolina where she is a rising star on the team. Last year, despite having an ankle injury, she was a top ranked player. The Olympics marked her first international appearance. Pitcher Bobby Lanigan spent many years playing and practicing baseball on Staten Island. He went on to Adelphi University where he in 2006 he was named East Coast Rookie of the Year. In 2007, he set a team high of 94 strikeouts. It was no surprise to anyone that knows Lanigan when he became the first Adelphi player in fifteen years to be part of the MLB draft this year. Lanigan was the 15th pick in the third round of the draft by the Minnesota Twins. Lanigan played two years varsity baseball for Moore Catholic High School. He was named Captain of the team senior year and also played for the All-Staten Island Team his last two years of High School. It is truly amazing that Fencer Keeth Smart, a Brooklyn native, even qualified for the Beijing Olympics. Earlier this year he discovered he had contracted a rare blood disease. He spent two weeks in the ICU as well as took off a full two months of training. And then in May, while he was recovering, his mother passed away. (Smart lost his father several years ago.) But even with these enormous obstacles, Smart plunged himself into training and went to Beijing ready to compete. And compete he did, winning a Silver Medal for himself. Smart attended Brooklyn Tech High School. His sister, Erinn, also a fencer, won a silver medal in this year's game as well. Smart and his sister started fencing at the Peter Westbrook Foundation, a non-profit group founded to support inner-city kids through fencing. Smart, also works full-time as a Finance Specialist at Verizon. He has already won Gold. That's right. Irvington New Jersey's very own Cullen Jones a gold medal in the 4x100m freestyle relay in a world record time of 3:08.24 at this year's Beijing Olympics. Jones was one of three African-American male swimmers every to compete at the Olympic Games. 24 year old Jones started swimming after he nearly drowned as a child. After that experience, he was enrolled in swimming lessons where he became hooked on the sport. He burst on the scene by winning the 50 meter freestyle at the Pan Pacific games in 2006 setting a world record at the same time. He caught the eye of Nike has since signed with them and gone pro. Jones was born in the Bronx and attended St. Benedict's Prep in Newark. He trains at the Center of Excellence at Mecklenburg Aquatic Club in North Carolina. Jones and his girlfriend, African American swimmer Maritza Correia are making a documentary film on their rise as swimmers and those African Americans that paved the way for them. Additionally, he and Correia are working on setting up a program to provide scholarships to deserving kids. Additionally, Jones is the USA Swim Team's "poster child" for their "Make a Splash Program" that aims to teach inner-city kids how to swim. Analisa Balares describes herself as an entrepreneur and innovator. She is the CEO and Founder of Womensphere, a New York based media-company dedicated to the empowerment of women. 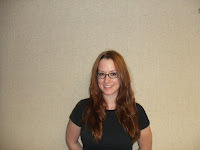 In her role, she leads the development of media, content, and online communities. Womensphere provides inspiration; recognition; leadership; opportunities for idea exchange; and mentoring to women who are aspiring to make a difference in this world. Since the age of 13 Ms. Balares has organized over 100 conferences, seminars and forums around the topics of women’s empowerment and leadership; youth leadership; sustainable economic development; environmental education; and children’s welfare. Ms. Balares is also the Founder and Chairman of HUCKLEBERRY, a technology company and the Founder of The Lyons Network, a networking group for women, which she founded during her senior year at Mount Holyoke College. While studying at Harvard Business School, she cofounded the Global Entrepreneurship Network in 2005. She is the author of “Journey” and “Impact,” two books about empowering and inspiring women. The books are due for release in the fall of 2008. Ms. Balares was also recently selected to join the New York City Young Leaders Program, a partnership between the New York City Government and private NGOs. 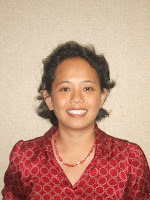 Ms. Balares is also a frequent speaker at Universities and professional conferences throughout the world. During a blizzard a few winters ago two hungry brothers, Mark and Matt Fitzgerald, discovered their very own recipe for success: canned beans, garlic, lemons and olive oil. The concoction became an instant favorite with family and friends. About a year later it was suggested that the two should take their recipe onto the market. Not long after, at the Pleasantville Music Festival, the two introduced the bean dip to great success. The brothers founded Cool Foods Inc, and named the concoction Cool Beans, after a saying often used by their older brother, Sean, who was killed in a car accident a few years ago. The brothers, who work 7 days a week, both making the dip and doing field research and have had a lot of help from family and friends in getting their product out into the market. Their Dad handles all the paperwork, and their Mom who writes up the promotional literature that will hopefully get Cool Beans on the map. Presently, the white bean hummus dip comes in three flavors, although the two are constantly cooking up new recipes. Cool Beans is sold online and in 300 grocery stores around the country and is rapidly expanding. It expected that on the company’s second anniversary that the products will be available in 1500 stores in 25 states. That sure is Cool! 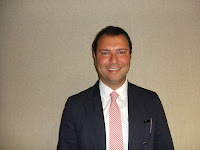 In 1993 Khajek Keledian was studying finance at NYU. His gut told him that there was something greater for him to be doing. It was fashion. He left school to open up his first fashion boutique Intermix Shop on Fifth Ave with his brother. He was 19years old. Keledian was exposed to fashion while being raised in Beirut and traveling through Europe. The fashion influence of London and Paris stayed with him, and he brought that inspiration with him to his unique stores. His boutiques attract attention by encouraging fashionistas to create their own mix and match styles. The stores are well known for "intermixing" different designers, brands and price points. Keledian has proudly kept New Yorkers in fashion for over 15 years. They grew up on with Ice Cream on their minds. Once actual Good Humor Men, now brothers Pete and Ben Van Leeuwen, from Greenpoint, are scooping out their own brand of ice cream. 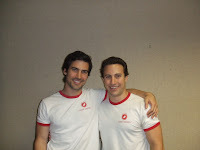 The brothers founded Van Leeuwen Artisan Ice Cream Truck and use only organic products in the making of their ice cream. And the disposable products they use to serve their products are made from 100% renewable resources. All ice cream is distributed out of their classically designed ice cream truck and you can found them daily in Soho, by NYU and on the Upper West Side. And the flavors, yummy…you’ll find everything from vanilla to ginger to peppermint chip. Laura Wellington is a former preschool teacher and mother of four who has had her fair share of hardship. Wellington dealt with the grief of losing her husband to cancer by turning beloved drawings from her youth into “The Wumblers”, a TV show for young children. Her company, The Giddy Gander Company, LLC distributes the show which is now seen worldwide on the Trinity Broadcasting Network, Smile of a Child, The Australian Christian Channel and Sky Angel’s KTV Block. The show currently is expanding into Latin America, China and Europe. Additionally, they are extending the reach of “The Wumblers” through toys, games, puzzles and appeal, as well as DVD’s and CD’s. Wellington created “The Wumblers” with the goal of creating a family friendly program stressing the idea that our unique differences are what makes the world such a special place. Each episode features an important message for families and kids to be inspired by. Additionally, Wellington is the President and Co-Founder of Wellington Consulting Company and Wellington Financial Systems. In total she is the CEO of five companies. Ingrid Michaelson is a Staten Island native who has taken a new road to musical success. Ingrid started her career hoping to work on Broadway but after an epiphany she had after 9/11 she decided to change her focus. Taking the unconventional route to stardom Ingrid decided to find her place in the music industry without the assistance of a record label. She self released an album and created her own MySpace page featuring her music. As fate would have it the tunes on her MySpace page were heard by a company associated with the television show "Grey's Anatomy". Not long afterwards one of her singles was featured on the "Grey's Anatomy" soundtrack and Old Navy used her track "The Way I Am" for one of its commercials. Some of the proceeds from her single and new album "Be OK" will be donated to Stand Up For a Cure. Within the next few months she will be opening at Madison Square Garden for Dave Matthews Band at the Stand Up for a Cure Concert, touring with Jason Mraz in Europe and then headlining her own tour throughout the United States including a stop in her hometown of Staten Island. Jonathan Russell is not your typical 13-year-old. Russell, a Suzuki trained violinist has toured in Hungary with Bohem Ragtime Jazz Band and in the spring of 2008 received a special award from the U.S. Embassy for his role as a cultural ambassador. Jonathan's love affair with the violin began at only 18 months old when he was shown a picture of a violin. By the time he was seven he was playing in New York City nightclubs, usually with traditional or Dixieland ensembles. When he was nine he performed at the New Orleans Jazz and Heritage Festival. In 2005 he won Best Improvisation for string players under 13 in the American String Teachers Association's Alternative Styles competition. He became the youngest jazz musician ever invited to play in a master class at Jazz at Lincoln Center in 2006. He was recently invited to perform with Wynton Marsalis as a part of Lincoln Center's Nursery Swing Series. He also will make his European Debut soon at the Bohem Ragtime and Jazz Festival in Hungary. Jonathon has already released two CD's. In addition to learning his music by ear Jonathon also reads and writes his own music. He can easily adapt to most forms of Jazz but prefers the Traditional, Dixieland and Swing genres. Jonathon is currently a seventh grader at the Professional Children's School in Manhattan and enjoys, as most kids his age, playing video games in his spare time. Amy Neswald is a writer and director. Her first screenplay, Toast, won Fearless Production's screenplay contest in 2001. In 2005 she won the Screenwriter's Challenge, beating our 336 other writers. 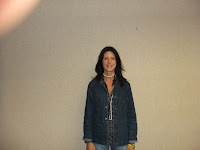 She is a resident director of The Working Artist Theater Project. Since 2005 she has written a number of other feature length and short screenplays and has started her own production company, The Famous Nesdini Sisters Productions. Her company is dedicated to the development and promotion of unique female voices in theater, film and television. Ms. Neswald currently has a several screenplays, essays and films out and is currently in pre-production for her latest project, "Solitare" about an alcoholic minister who marries for money and finds solace in the card game. Ms. Neswald believes that an interesting person makes interesting art and hopes to continue what she is doing for as long as she can. Nineteen-year-old Christopher Georgetti, an aspiring singer, songwriter and actor, has dreamed of being a performer all his life. When he was in the fourth grade he developed his love for music by playing the alto saxophone in his elementary school band. Since then he has performed for a number of bands and choirs. He is able to play the Alto Saxophone, Baritone Saxophone, Bass Guitar, Piano, and Various Percussion Instruments. Despite his immense instrumental talents his main focus is on his voice. Christopher currently attends the Mason Gross School of Arts. At the school he is training to be an opera singer and is studying Vocal Performance. He has performed in many productions which include The Who's Tommy (Captain Walker), Hot Mikado (Nanki-Poo), The Wiz (The Lion), The Pirates of Penzance (Major-General Stanley), The Mystery of Edwin Drood (Master Nick Cricker/Deputy), Papermill Playhouse's New Voices Concert 2006 (Ensemble), and made his opera debut as Cochenille in The Tales of Hoffmann. Christopher recently made his NJPAC debut this July as Ben Franklin in 1776. In 2005 and 2006 he was nominated by Papermill Playhouse's Rising Star Awards for Best Supporting Actor for his portrayals as Major-General Stanley and The Lion. 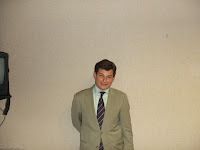 Christopher aspires to sing at the Metropolitan Opera House. When he is not in rehearsals or studying, he enjoys writing music and poetry. 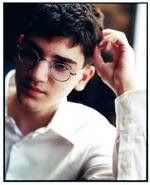 The world was first introduced to Jay Greenberg in 2004 when Julliard professor Samuel Zyman discussed the then 13-year-old's musical and composing talents during an interview with "60 Minutes". Zyman highly praised Greenberg saying that Greenberg's potential placed him in the company of Mozart, Medelssohn and Saint-Saens. 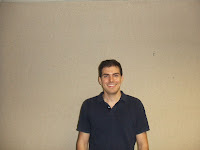 Greenberg was born in 1991 in Connecticut and began playing the cello at the age of 3. He later taught himself how to play the piano and began taking lessons in theory and composition when he was seven; by the age of ten he enrolled as a scholarship student in both the college and pre-college divisions of the Julliard School of Music. Overall Greenberg has written over 100 pieces of music including solo piano pieces, sonatas and symphonies. 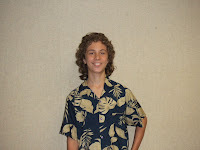 As a 16-year-old Greenberg has achieved a series of musical "firsts". He is the youngest composer to ever sign exclusive contracts with IMG Artists and Sony Classical. His first CD, which was released on August 15, 2006 includes his Symphony NO. 5 featuring the London Symphony Orchestra (conducted by Jose Serebrier), and his Quintet for Strings performed by the Julliard Sting Quartet and cellist Darrett Adkins. Greenberg's works have already been played by orchestras across the United States including the Pittsburgh and New Haven Symphony Orchestras and he recently completed a tour through South Korea. His Quintet for Strings has been performed at the Library of Congress in Washington D.C. He also recently was commissioned by the Orchestra of St. Luke's to write a one movement violin concerto for Joshua Bell. This concerto premiered at Carnegie Hall on October 28, 2007. Currently his most famous piece is his Overture to 9/11. This symphony received first prize in the composition competition at the Julliard pre-college division in 2003; he won ASCAP Foundation Morton Gould Young Composers awards in 2004, 2005 and 2006. 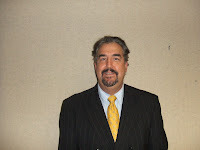 Dr. Thom Romo is a world renowned innovator in surgical techniques involving reconstruction of the nose, ear and face. In 2003 he co-founded the Little Babyface Foundation. He currently serves as the organization's President. Dr. Romo and his team understand that the isolation and ridicule that a child who is born with a facial abnormality may face could be painful and emotionally scarring. The Foundation aims to provide corrective surgery so a child in need in order to give them the chance to live a more normal and happy life. The Foundation brings together a team of highly-trained and respected surgeons to provide surgery, all which is done for free. Travel is also provided to and from New York where the children undergo treatment. The Foundation provides families with corrective surgery and treatment alternatives as well as connection to services and support groups. The Organization to date has helped over 100 children who range in age from 4-18 years old and have come from seven states and seven countries. 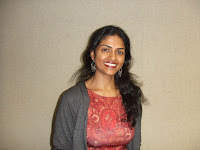 Sarumathi Jayaraman 32, co-founded Restaurant Opportunities Center of New York (ROC-NY) with Fekkak Mamdouh to provide support to displaced Windows of the World employees after the events of 9/11. Since the founding, ROC-NY has grown to support restaurant workers throughout New York City, advocating for improved working conditions. They have won eight campaigns against exploitative restaurant companies, obtaining $580,000 in back pay as well as improved workplace policies for workers. ROC-NY has trained over 1000 restaurant workers and organized 40 restaurant workers to open their own cooperatively-owned restaurant. ROC-NY currently has a membership of over 2,300 restaurant workers. Based on calls for support around the country, Ms. Jayaraman, a Harvard and Yale educated lawyer and her partner also recently co-founded Restaurant Opportunities Center-United which will now branch out around the country. Called a visionary, Ms. Jayaraman was inspired by the struggles of her parents, immigrants from India as well as her Mexican American high school friends. When Joseph M. Weilgus began volunteering in New York hospitals he realized that there was little sunshine for both the patient and their families. He was greatly inspired and founded Project Sunshine. He started by encouraging companies and executives to volunteer some of their time at hospitals. His mission was to provide social, educational and recreational programs to children and families faced with medical challenges. Now about 10 years old, there are 12,000 volunteers annually in 150 chapters in 33 states and 75 cities throughout the US, Canada, China, Israel, Kenya and Puerto Rico. Volunteers provide tutoring, reading, arts & crafts, nutritional cooking and special events for pediatric patients and their families, helping to keep spirits up and the will to stay strong as they fight their medical battles. In 1992 when drug dealing and violence plagued her South Bronx neighborhood, Alexie Torres-Fleming help lead a march through the streets against these actions. In retaliation, the drug dealers burned the marcher's headquarters, her parish church. Ms. Torres Fleming became even more inspired to help her neighborhood that day and founded Youth Ministries for Peace and Justice (YMPJ). Torres-Fleming now 43 has help shape the lives of a generation of Bronx children. She inspires young people to believe that they can rebuild their neighborhood. Her organization has armed and trained children to play an active role in the community through community organizing, journalism, environmentalism and the arts. Ms. Torres-Fleming just recently was the recipient of the Rockefeller Foundation's Jane Jacobs Medal for New Ideas and Activism. She is also co-founder of the Southern Bronx River Watershed Alliance. A true believer in the Bronx, Ms. Torres-Fleming moved back to her old neighborhood where she now lives with her husband and two children. Read more about Youth Ministries for Peace and Justice. Arlene Sullivan was struck with the idea for Changing Images when her two week old son was hospitalized for two months. Noticing the bleak surroundings, she decided the patients deserved a much more cheerful environment! It was just all too depressing. In 1997, Arlene Sullivan co-founded the Changing Images Art Foundation with Mary Anne Martello. Their mission was to bring "comfort to persons, both young and old, who are in traditional institutional settings by providing a supervised interactive art activity." Arlene and her volunteers do this "one wall at a time" by painting directly on walls, banner cloth, ceiling tiles, and even window shades. They bring the outside in on many occasions and everyone chips in, no matter what their art level is. Read more about Changing Images.